Major and recommended rental router and SIM card are listed below. Please check the Instruction of setting up and suppoted devices on each official pages. Please understand that prices are subject to change for the reasons of retail outlets. 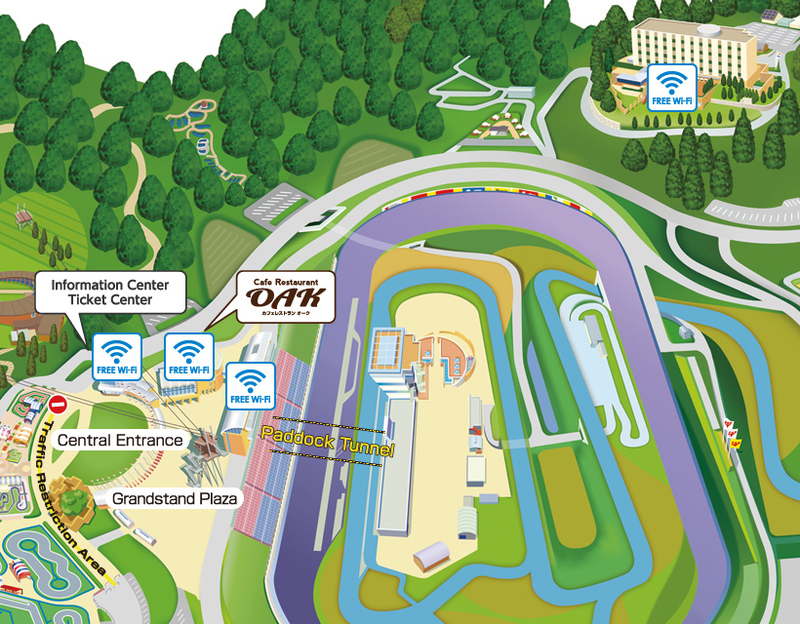 Register with Facebook / Twitter / LINE and free to use Wi-Fi connection at the circuit. Please note that you may experience poor Wi-Fi connections during event periods. 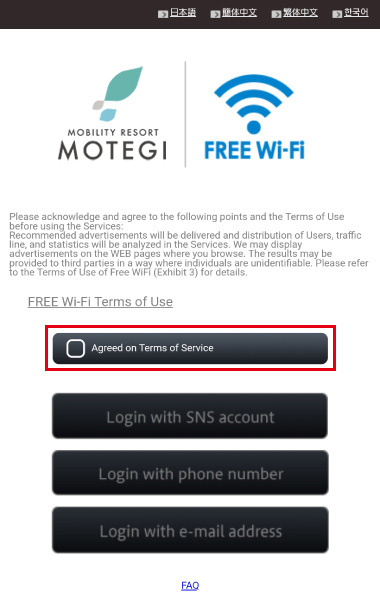 Put a check next to "Agreed on Terms of Service" and choose your login with SNS account. Select from LINE, Facebook or Twitter to login and fill in your account ID and Password. You can purchase an IIJmio Coupon Card to recharge the SIM card. You can purchase top up from User Page. You can charge 1GB (1day/ 500yen) from Charge page. All schedules and race/event titles are subject to change.